Started in 2011, Aaugritaa caterers is one of the best corporate and wedding caterers in Delhi NCR region. Currently, we are market leaders in High tea catering. We are 7+ years old and have experience of 280+ corporate and wedding caterings. Therefore, making us one of the first choices of our clients. Aaugritaa Caterers is the brainchild of chef Shiv Shankar Ghosh. Shiv is a professional chef with 10+ years of experience in the Culinary industry. In addition to wedding catering., we also provide a host of other services such as corporate catering, high tea catering, and cooking classes. To summarize, Aaugritaa can be your one-stop solution for catering needs. Please fill in this simple form below and reach out to us. Wedding Catering is our strongest forte. This is the sole reason the in the last 7 years, Aaugritaa caterers have established themselves as one of the best wedding caterers in Delhi. We have experience with 200+ wedding catering, which is a symbol of our experience and expertise. Furthermore, our wedding menu aligns with the current trends in the wedding industry. 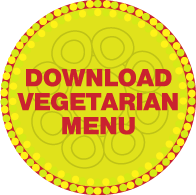 The most noteworthy element of our service is the Vegetarian and Non-vegetarian menu. which is decorated with 500+ items. Our menu provides the flexibility to make your wedding catering to a new experience. We love experimental food and try to bring into streamlining Indian weddings. We are one of the best cooking classes in Delhi. Aaugritaa provides budding home cooks a chance to learn from the Industry’s best and live the food dream. Curated by chef Shiv Shankar Ghosh, we have courses starting from a week to 6 months depending on the skills you are looking for. Our variety of courses are targeted at individuals who want to learn cooking as a hobby or professionals who want to enhance the skill sets. Best High Tea Catering in Delhi NCR. Aaugritaa caterers give you a great deal of high tea catering or corporate catering in Delhi NCR. Starting only at Rs. 550/plate you get a choice of 4 appetizers, 2 main course dishes, and 2 desserts. This offer is inclusive of the waiters and crockery. Our High Tea catering service is ideal for corporates, startups, art galleries, colleges, government offices, and other professional institutes. Having a menu, which is different from cliche’ is always a plus and therefore, our high tea menu is unique with cuisines from around the world. Check this space for Interesting recipes, business ideas, and kitchen tips. Hope to see some interesting comments and questions. A quintessential paneer specialty that can be always found on a restaurant menu and dinner parties! A sumptuous paneer dish that tops a vegetarian’s list, this paneer recipe can be made dry, semi dry or in a gravy version. We have here is a semi dry paneer recipe that can be served as a main dish at a dinner party or on festivals and special occasions as well, along with a chapati, paratha or some cooked rice. Baghaar-e-baingan is a popular Indian cuisine brinjal curry of Hyderabad. Baghaar-e-baingan was introduced during Mughal Empire from Taskent which later became popular in Hyderabad. This dish is a mouth watering eggplant dish or baingan ka salan as it contains a masala paste which brings up the flavors of the baingan in the curry.